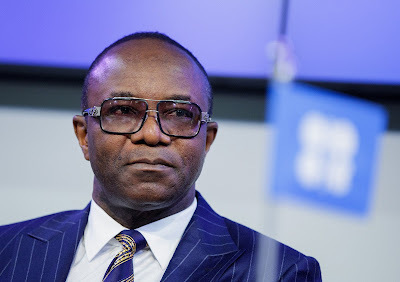 THE Federal High Court in Abuja has giving a go ahead to a suit seeking the suspension and probe of Minister of State on Petroleum, Dr. Ibe Kachikwu. A civil society group, Kingdom Rights Foundation International, had filed a suit on allegations of money laundering, operation of a foreign bank account, corruption and assets declaration irregularities against the Minister. The enrolled order of the court bearing the stamp of the Federal High Court and the signature of the registrar with October 15, 2018 date, showed that Justice Folashade Ogunbanjo made the order on October 10. The plaintiff, KHRFI, through its ex parte application filed on August 23, 2018, had sought the court’s leave to commence a suit seeking Kachikwu’s probe for the various allegations. Also dragged alongside the Ministry were the Code of Conduct Bureau, the Economic and Financial Crimes Commission, EFCC, President Muhammadu Buhari, and the Attorney General of the Federation, Mr Abubakar Malami (SAN). The plaintiff prayed the court, in the substantive suit, to conduct a judicial review of the administrative action/inaction of the defendants to perform their constitutional and statutory mandates and obligations in connection with the investigation and prosecution of Kachikwu. Lawyer to the plaintiff, Okere Nnamdi, moved the ex parte application seeking leave to commence the suit on October 10.